Whisky giant Famous Grouse has struck a £500K deal to set up a launchpad for fledgling creative talent in Perth. Owners Edrington has agreed to fund an innovative “ideas centre” as part of a new arts hub being built near the city centre. The move will go some way to addressing one of the main challenges of the Perth 2021 City of Culture bid: to address a “brain drain” in the region’s creative sector by attracting and retaining new talent. 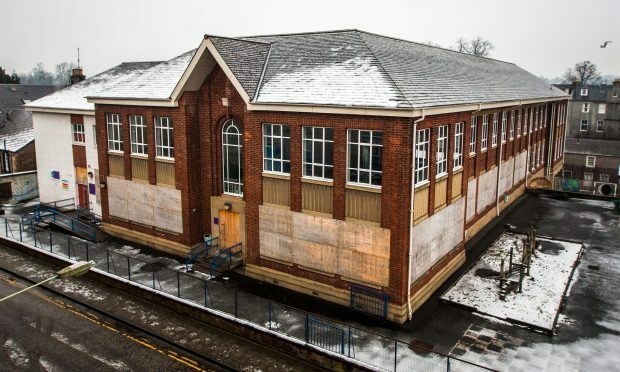 Perth and Kinross Council is transforming the derelict St John’s Primary School on Stormont Street into a £3.5 million Creative Exchange. The centre, which is scheduled to open next year, will become a home to artists and creative industries, offering up affordable studio and office space. Nationally, Scotland’s arts and creative industries directly employs tens of thousands of people. A recent report found that there were around 480 such companies in Perth and Kinross, employing approximately 1,200 people — representing just a 1.2% contribution to the national sector. The Scottish Government is investing £335,000 into the Perth hub, with a further £250,000 from the European Regional Development Fund. The bulk of the project — £2.7 million — comes from council cash. A planning application for the building, which dates back to 1929, has been finalised and will be submitted soon. Project manager Finlay Kerr said the Famous Grouse Ideas Centre will act as a business incubator and accelerator for start-ups and growing firms. “Thanks to funding from the Famous Grouse, the Ideas Centre will be up and running this year, from temporary accommodation,” he said. Edrington — which owns the Famous Grouse brand — is investing £500,000 over 10 years. The 12-month building conversion involves turning classrooms into studios, workshops and galleries, providing space for up to 24 artists and 12 businesses. It is expected to generate work for about 20 people. Perth’s City of Culture bid highlights difficulties retaining local talent.It states a need to build digital skills and resilience within the creative industry sector, helping businesses to grow. Bid leader Fiona Robertson said: “At the moment, our creative sector contributes just 1.2% to the industry nationally. Most of the work here involves one-person bands, often working in their own studio, or a small retail unit. She said: “We have 650 creative industry art students at Perth College, so we’re doing a great job of training them — a lot of them getting work experience at Horsecross Arts or Pitlochry Festival Theatre — but we can’t keep hold of them because we don’t have the opportunities. City of Culture judges could be swayed by Perth’s “charm”, a local artist has claimed. Perth College lecturer Frank To has won international acclaim for his work, including paintings made with fire and gunpowder. Among his fans is Hollywood star Patrick Stewart, who said Frank had helped him unlock his own artistic potential. Frank, who is from Glasgow and studied in Dundee, said: “It was only when I moved to Perth that I realised how much heritage there is here. “There are so many hidden gems here, places like the Birnam Oak. These could prove really important to our City of Culture bid, because we have these unique features that nowhere else has. “I’ve always been impressed by the close-knit communities in towns and villages around Perth too. I think we should be highlighting the fact that it really is the people who make Perth what it is.